International Moving Companies - Compare Movers & Save up to 70% ! Most people groan at just the thought of having to arrange a home or business move. Trying to arrange an international move involves even more work! But it doesn’t have to be a monumental task. 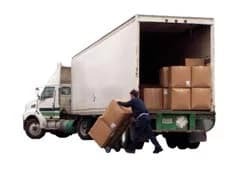 Intlmovers.com can help you find the right international moving company to help you. Leave it to the experts and find local international moving companies to get you relocated to your new international destination. International moving companies are not only efficient experts in moving techniques. They also have a comprehensive insight to the ins and outs ofinternational regulations. Complete the easy request form and receive quotes directly for your international move. 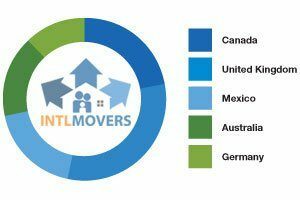 The types of services that you can take advantage of for international moving can really be a huge help. It also take the pressure off you and your family. International moving companies understand the local and international rules and regulations that pertain to customs and border control. As well as the logistical processes necessary for transport and shipping. Every country has certain official forms that are necessary to be completed upon arrival in to the country. Depending on where you are moving from and where you are moving to. You are likely to be unfamiliar with the processes and obligations. It can save you a lot of time and worry by leaving it to the experts for their completion and submission. International moving companies have an obligation to conform to specific safety regulations in addition to other administrative requirements. Without proper authorisation, dangerous goods cannot be transported. If you are arranging an international move, flammable items may not be transported by the moving companies. This includes such things as flammable liquids such as gasoline, kerosene and other industrial liquids. Gas bottles, such as those used in many barbecues, are also an issue. Remember that every day household items such as your domestic lawnmower may still have fuel in them. It is important to remember to drain these prior to moving. Your international move can be made overseas via ship or over land via truck or train. But you should have a comprehensive listing of the items that are being transported. Not only is this important for providing to the authorities where necessary. It will also help you upon arrival at your new home or business premises as a check list for ensuring that you can account for everything at the completion of your international moving experience. Experience does make a difference. Which is why the international moving company that you choose has many years of proven and trusted service in the international moving world. The moving partners on Intlmovers have industry expertise and training. That will allows them to respond efficiently and effectively manage your move, regardless of situation. Trust the team at Intlmovers! When arranging an international move, there are a lot of things that you need to take in to consideration. By hiring an international mover, they will help you avoid some of the pitfalls. And they help ensure that your move goes smoothly and without a hitch. Without any obligation, you will have the chance to compare quotes. This will save you time and money. You will receive a preselected list of six international moving companies, which match your international moving requirements. By requesting and comparing quotes, you will find the perfect moving company. In just a couple of clicks after you have completed your details, the international moving companies will respond directly to you!